I have always held the torch so high for my alma mater UVA (University of Virginia) that I was pretty much blind to any criticism about the University: Perfect UVA in perfect little Charlottesville where perfect students study. 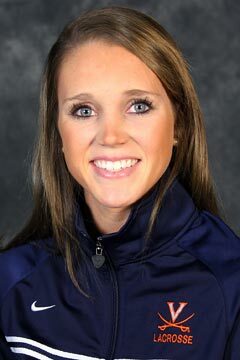 Needless to say that when I read about the murder of Lacrosse player Yeardley Love allegedly by her ex-boyfriend George Huguely, I was stunned. How could such a brutal murder happen in Jefferson’s Academical Village? However, the more I thought about it and the more I read about it, my sentiments began to match many of those who asked, “why should we be shocked?” The Justice Department reports that eighty-five percent of intimate partner violence is committed against women, the majority of whom are between the ages of 20 and 24. This fact is true not only at UVA but on campuses across the country and even beyond college life. Talking about sexual violence and more specifically intimate partner violence is not only discouraged, but the general attitude across the board is to keep it to yourself, close your eyes and act like it never happened. The culture of silence around domestic violence is institutionalized because we allow it to be. 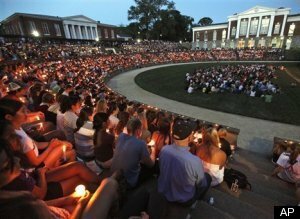 What I find appalling is that the University of Virginia in the year 2010, in the aftermath of one its students being found face down in a pool of her own blood after having her head banged against the wall by her ex-boyfriend, is not taking the opportunity it has right now to shatter the silence that surrounds this violence loudly and clearly. Many former and current UVA students are pointing out that the University is not only not taking the necessary steps to protect their students, it appears they are still skirting around the issue of domestic violence instead of confronting it. The University of Virginia has always been held in such a high esteem, consistently ranking amongst the best academic institutions in the world. But it risks to lose the respect and honor bestowed upon it by its peers, students, faculty and alums if it fails to confront the violence it has been confronted with. The murder of Yeardley Love must not become just another statistic. It is a reminder and warning to us of what happens when we perpetuate the myth that domestic violence should remain a “hush hush” issue that belongs under the rug. One of the best advantages academic institutions have is that they can always take a situation and turn it into an educational opportunity. Right now, UVA has a chance to educate its student body and its community about intimate partner violence. Creating awareness around an issue is often the best way to eliminate it. The way to ensure that a death like Love’s does not happen again at UVA, or any other University for that matter, is to bring the issue of domestic violence out in the open, and break the culture of silence instead of perpetuating it. Otherwise this murder in Jefferson’s village, will not be the last. *This post of mine was also published on Ms. Magazine Blog and The Huffington Post. Excellent post and I hope big changes are made there and elsewhere at universities in the US. I saw a bit of the press conference featuring UVa’s president and (though have been unable to find it again online), I thought I heard Casteen insinuate that if his admin would have known about the alleged killer’s previous arrest, they could have prevented this tragedy. If what I heard was accurate, I am shocked and appalled. It clearly shows someone who is out to protect himself CYA style and not address the salient issues involving domestic violence at his institiution.